Insights reveals who's using your content, when, where, and how. Use it to audit your digital asset management (DAM) system and create a blueprint for content success. Get a comprehensive look at your DAM system performance. With data on searches, shares, embeds, views, downloads, and more, you can see where your content really goes. 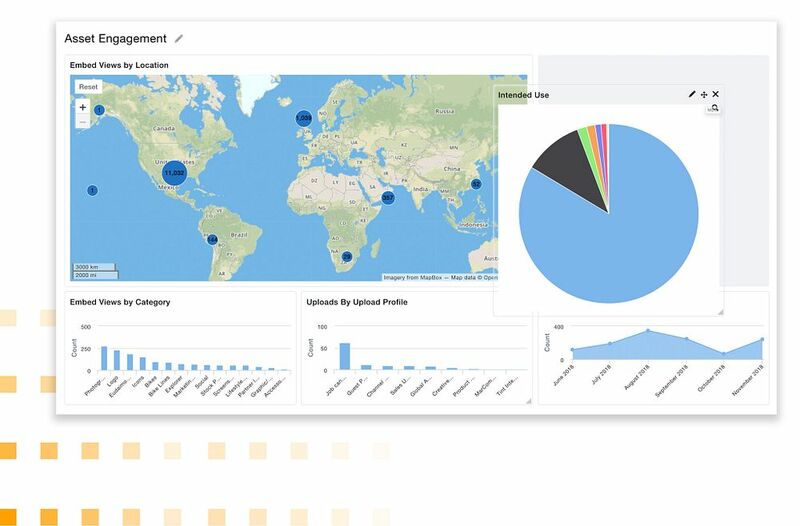 Then customize simple drag-and-drop dashboards to track the most important metrics for your teams. Have a quick look at asset performance, then make a lasting impact. 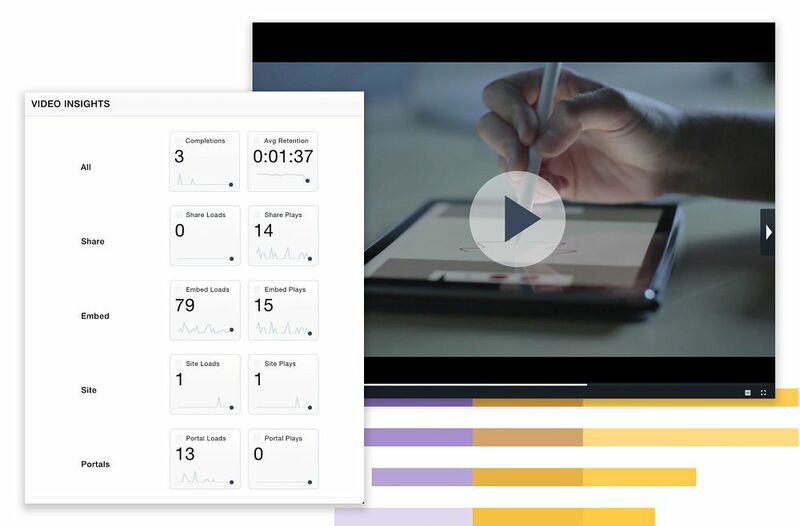 The at-a-glance view of asset activity and engagement helps users share, publish, and repurpose your team's strongest assets. The intended use feature reveals how people are using your content and also shows which brand assets may be overused. Inform your marketing budget by understanding when, where, and why your content is being accessed, and empower your team with the data they need to continually optimize your digital assets.